Elissa Bloom and Nicole Haddad want to enlarge Philadelphia’s fashion footprint. Bloom has an explicit mission to support local fashion designers and to keep them here. Haddad’s business will be part of the rebirth of the Bok Technical High School building in South Philly. Elissa Bloom and Nicole Haddad are two entrepreneurs who are working hard in their own ways to enlarge Philadelphia’s fashion footprint. Haddad, 35, shares Bloom’s enthusiasm about the fashion scene in Philly. Her home-grown business, Lobo Mau, will be part of the rebirth of the Bok Technical High School building in South Philly. Haddad didn’t participate in the Philadelphia Fashion Incubator, but the Lansdowne native says she has never considered leaving the area. “My family and friends are here. Even my third grade teacher takes an interest in what I’m doing. I have this wonderful supportive community,” she said. 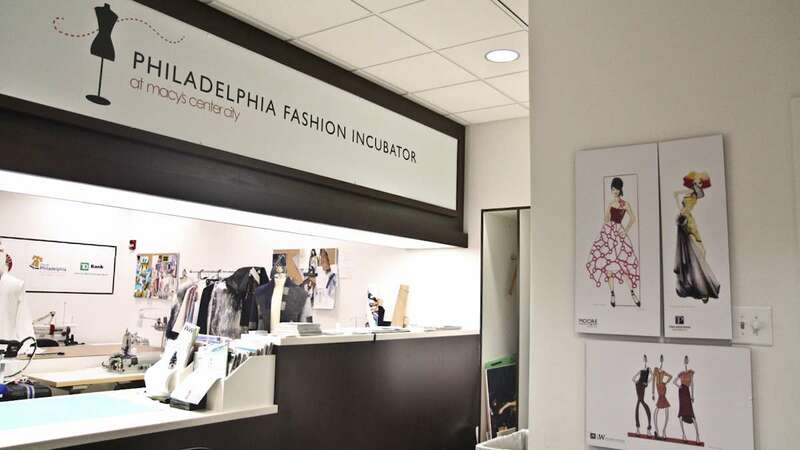 The Fashion Incubator, hidden behind an unmarked door on the third floor of Macy’s in Center City, offers a competitive 12-month designer-in-residency program. Only six applicants are accepted per year. 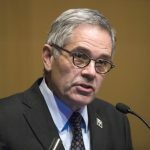 Applicants must live within the eight counties of Greater Philadelphia and commit to staying in the city upon leaving the program. The nonprofit incubator “fast-tracks them five years into the future,” says Bloom, by giving them access to critiques with top vendors, a business boot camp, and monthly travel to New York to meet industry leaders in all aspects of the business — as well as the services of models, photographers, stylists and graphic designers. 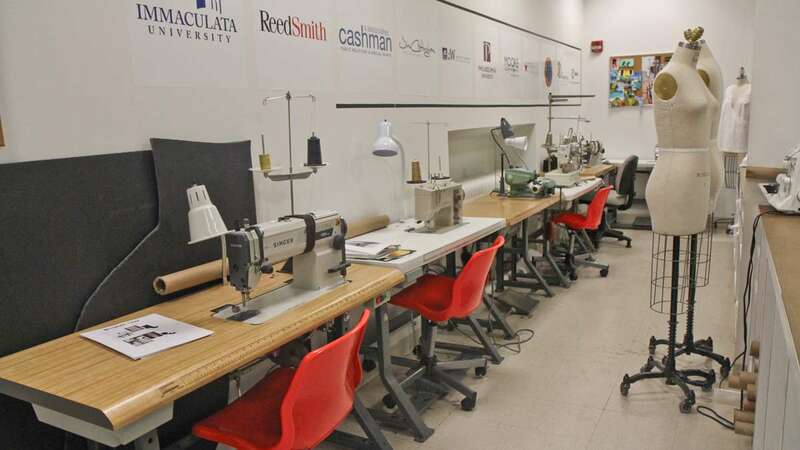 The program also offers courses, consultations and support teams at Wharton and the Small Business Development Center. The total package represents six figures in professional services. Yet each participant pays only $200 per month for use of the design studio. 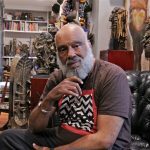 One of her current designers in residence, Conrad Booker, 54, is a former architect who initially began his design career creating fashions out of materials purchased at Home Depot. Booker now sells his Mongolian fur clutch bags at Joan Shepp in Center City and Linda Golden in Haverford. 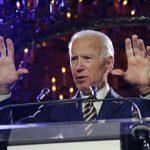 “Ideally, we want serious candidates who have a few years’ industry experience, are truly talented but also have business acumen and understand this is a business proposition, not just a creative opportunity,” said Bloom. She is helping to create partnerships and networks to great effect. 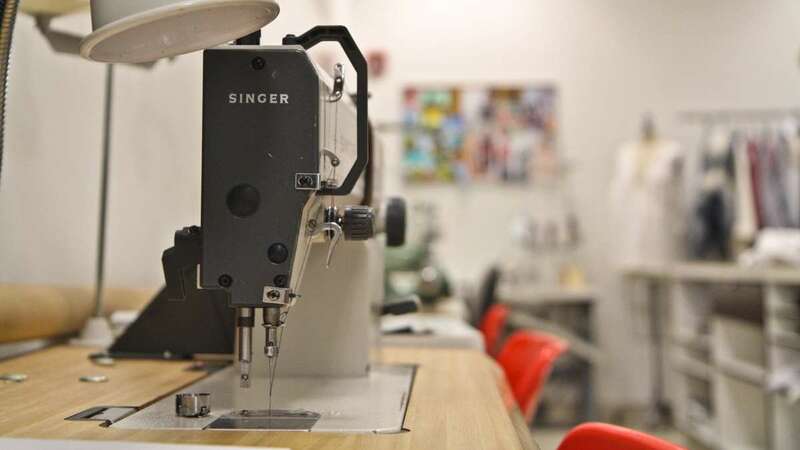 Bloom developed the incubator program from 800 square feet, six sewing machines and a cutting table. And now, 12 of 15 companies that have participated in the program are currently thriving. Nine alumni recently formed the Philadelphia Fashion Alliance. The Fashion Incubator has a commitment to supporting small minority businesses. Fifty percent of designers-in-residence have been women of color. 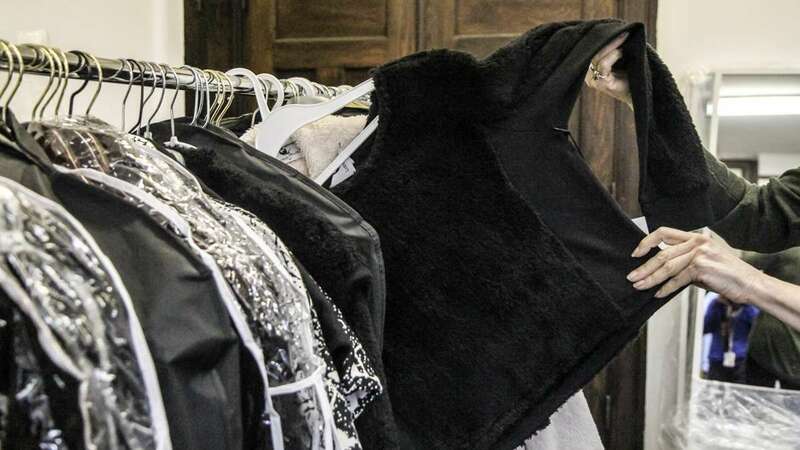 Haddad, has fashion in her blood and deep roots in the area. Her great grandparents owned two prestigious bridal salons in Philadelphia, and her great uncle manufactured bridal gowns under the nationally known name Alfred Angelo. After studying art history at Skidmore College, Haddad received a master’s degree in fashion design at Drexel University. “Several of my classmates at Drexel went on to successful careers in New York, but I’d rather be here, running my own business.” said Haddad. She says she was “too far along” to work with the incubator, but she frequently networks with Bloom. 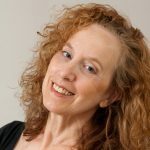 In 2008, Haddad launched her Lobo Mau line out of her apartment, then moved to several locations before recently becoming the first tenant of the Bok Building at 8th and Mifflin streets, a development dedicated to creating community “maker spaces” for Philadelphia’s creative class. The former vocational high school’s hallways are still decorated with banners announcing school events. Haddad is in a 1,000-square-foot space now but will be moving to a much larger studio on the fifth floor, giving her room to create prints on site, do production and hire staff. She is rooted in Philadelphia, but she gets her inspiration from her father’s homeland, Brazil. She visits the country once a year to spend time with family and to stock her own closet. “I never buy clothes here. Only there. Fashion in Brazil is more colorful and exciting,” said Haddad. It’s also the source of her company’s name. The Portuguese lobo mau means “big bad wolf,” Haddad’s favorite childhood storybook character. She travels up and down the East Coast from Vermont to Baltimore doing trunk shows in private homes. “I bring an array of sizes and styles, priced from $50 to $300. The hostess invites around 20 friends, and I help each guest find the right style for their body type.” (Note: Trunk show hosts get a deep discount!) Lobo Mau can also be found at Style Camp in Chestnut Hill and online. 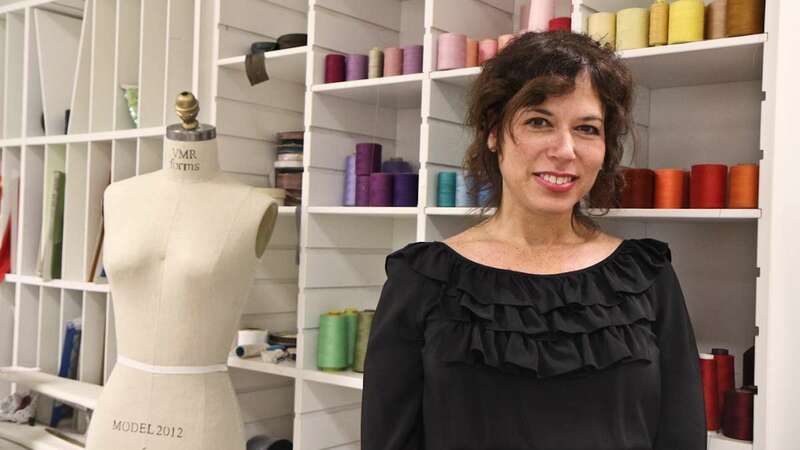 Bloom, originally from Boston, had her own globe-trotting career in the corporate fashion world, developing home goods for Bloomingdale’s and coordinating production for Philly-based retailer Anthropologie. She also had her own women’s accessories line, Bloomin Designs, for eight years. Putting Philly on the map as a hub for designers is a group effort, too. 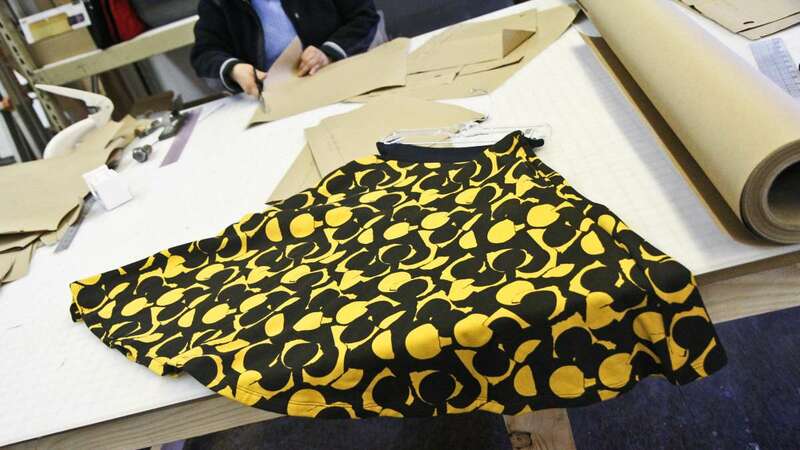 Because of smart, creative, driven designers like Haddad, Bloom and Booker staying put, the city is getting closer with each turn of the sewing machine.